About Us Having been a sole trader for over 13 years with 40 years of experience in the glazing trade, you can rest assured that you are in safe hands with Lookin' Glass. Lookin' Glass cover many areas of Glazing including picture framing, glass and mirrors cut to size, glass shelving reinforced, double glazed roof lighting, shower doors and screens, etched designs for doors, stained glass design and repair and many more. 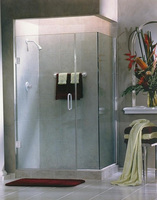 When it comes to glazing needs you need look no further than Lookin' Glass. For over 13 years, Lookin' Glass have provided the West London region with all of it's commercial and residential glass needs. Our shop in West London offers a large selection of glass, decorative glass and mirrors.To locate us please visit our location page. A large majority of our work comes from previous customers referral, or returning customers. If there are any questions you may have about us or our services please visit our contact us page for a full list of telephone numbers, address, and emails. Lookin Glass are experts in glass and offer a wide range of quality products including Window and Door Glazing, custom made to measure glass and mirror designs, stain glass, sandblasting and more. We are based in Acton, London and can provide services both inside our shop or on site around London and the surrounding areas. 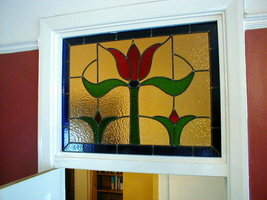 We are a family run business established in 1993 and based in Acton, London with many years of glass experience.